"If the other kids in school jumped off a bridge, would you do it too?" As I was walking out of Walgreen’s after picking up a father’s day card for my dad, this 645Ci performed a stereotypical BMW parking job. 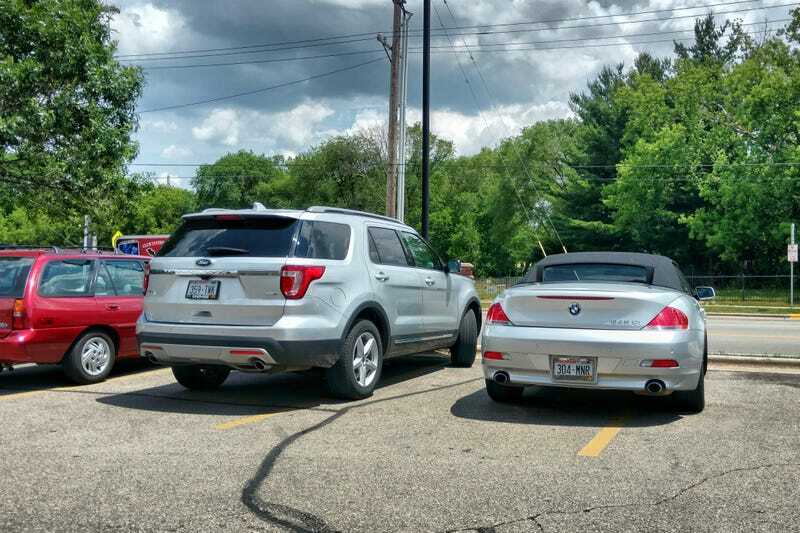 Technically the Explorer was already over the line to their left, but the BMW driver could just as easily have parked in the space on the right. But they didn’t, because BMW. I on the other hand know exactly what to do when confronted with improperly-parked cars while driving a BMW.